Thursday, May 2 at 7 p.m. Salon. Jona will host. Topic to be announced. Sunday, May 19 at 6 p.m. Salon. Can you host? Thursday, June 6 at 7 p.m. Salon. Can you host? Sunday, June 16 at 6 p.m. Salon at Ken & Robert's. Well, OK , really more of a birthday / retirement party / BBQ. Hope to see you there. April 21 at 2:00 (also at 4:30) in the East Building Auditorium. Washington premiere of the digital restoration. A new digital restoration of Henri-Georges Clouzot’s celebrated Le mystère Picasso features the famous artist in the act of painting for the camera. 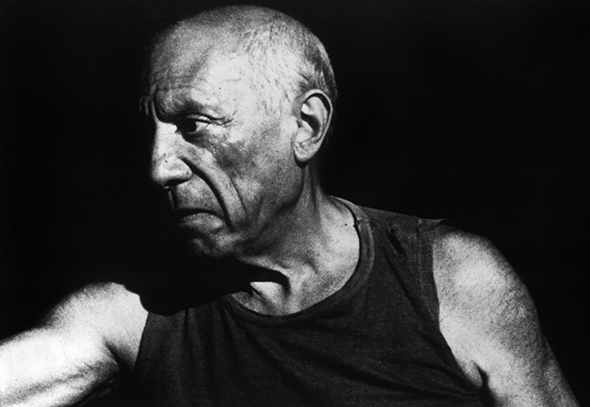 Clouzot, who built a reputation for suspenseful French thrillers like Le Corbeau (1943) and Le salaire de la peur (1953), invited his friend Pablo Picasso to explore the mystery of creation within a documentary format. The resulting film, interestingly, contains many cinematic tricks and surprises.